A boat-load of jobs: the best strategy for Australia? The latest Defence White Paper  and the co-released Future Submarine Industry Skills Plan  mark a distinct sea-change (pun intended) in the relationship between Defence and Industry, at least in the field of shipbuilding. If all goes according to plan, Defence and industry will form a partnership in which industry will have certainty of a steady stream of shipbuilding work for several decades, allowing the development and maintenance of a skilled workforce. In return, Defence believes it will be able to acquire ships at a lower cost because of improved industry expertise and productivity. This new approach meets many concerns expressed by Australian defence industry, including continuity of work, achieving economies of scale, reducing the costs of continually tendering, forming a long-term partnership with Defence and locking out subsided foreign competition. The new shipbuilding approach reflects and is part of the Government’s wider program to revive Australian manufacturing industry. The rationale for this is evident in its title—’A Plan for Australian Jobs ‘—with manufacturing jobs seen as particularly rewarding. The vision is to have innovative industries that deliver highly-skilled and well-paying jobs. Similarly the focus of the new naval shipbuilding arrangements is long-term jobs. The White Paper states ‘the Government will… support the Australian naval shipbuilding industry in developing and maintaining a workforce…’ (para 12.53) The DMO skills plan quantifies the White Paper’s ambition as the retention of some 5000 jobs until at least the 2030s. The underlying premise is that the rate of shipbuilding in Australia can be adjusted to have a continuous flow of work, avoiding peaks and troughs that necessitate a cycle of growing and then cutting skilled workforces. This approach is seemingly bi-partisan . Australian’s new plan has similar intentions and rationale to Canada’s National Shipbuilding Procurement Strategy  (NSPS) announced in 2010, which aims to bolster economic growth, support industry, and maximize Canadian jobs. There have already been some cost increases , delays  and capability reductions , but an informed NSPS supporter  notes that all defence projects deliver less than promised, are late and over budget so the NSPS shouldn’t be judged too harshly on these matters. Both countries seek to manipulate the market place to build a viable national naval shipbuilding industry. In deliberately taking such an interventionist approach and picking winners, several questions arise. If the driving factor is jobs, is the shipbuilding sector the best place to invest? The DMO paper observes there are a diminishing number of warship suppliers worldwide, suggesting a sunset industry. This is particularly evident in the submarine market with ‘the future of current players in the market uncertain’ (p36). Eschewing purchases from existing firms in this competitive market, Australia will instead apparently invest in creating another submarine maker with an uncertain future. There are some hopes for export sales scattered throughout the DMO proposal. Exports can help gain improved economies of scale and continuity of work but might be problematic. DMO notes several pitfalls; there are significant export restrictions on submarines, the few countries purchasing them want small boats, there are several established manufacturers and the market is distorted by national subsidies (p35-37). Export sales of any Australian manufactured large submarine appear very doubtful. The warship market also appears to be languishing. 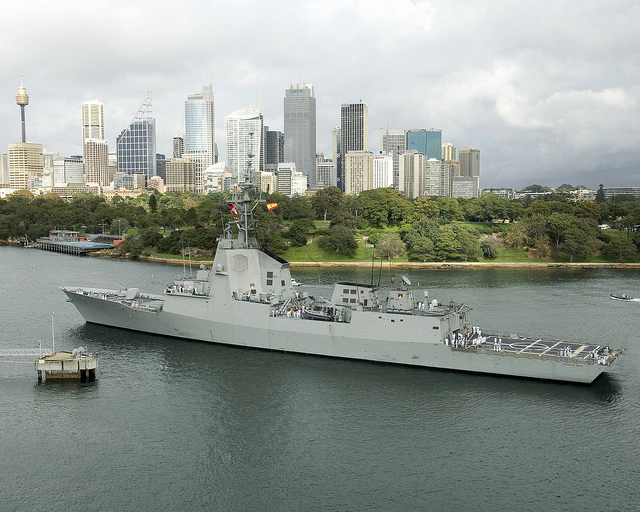 While the designer of Australia’s new Air Warfare Destroyers and Landing Ships is held up as a model, Navantia is government owned (by the Spanish Department of Finance), financially supported and heavily subsidised . The next fallback is usually opportunities in the civil sector. While civilian shipbuilding is a tough market, Navantia has had some success here. Spanish shipbuilding at the moment however is having difficulties with disputes with other EU partners  over subsidies required to keep the industry commercially viable. To allow an Australian shipbuilding industry to compete for exports and civil projects, ongoing financial support seems likely to be necessary—a shipbuilding industry isn’t just for Christmas! A fundamental pre-condition though might be significant export restriction relaxation, but that has the potential downside of worrying countries transferring technology to us, like the US, who could fear leakage of sensitive information or even helping a new competitor. Stepping down to portfolio level from from the national aim of investing in sustainable job creation, is naval shipbuilding the best industry for Defence to be investing in? Especially when the shipbuilding concerned is structures manufacture, rather than the development of the systems that make for effective warfighting vessels. Is building structures leading edge technology that gives the ADF a war-winning advantage? Certainly a ship’s combat systems will, but this plan does not focus on that. Australian ships instead use mostly imported combat systems, especially from the US. The Air Warfare Destroyer project was driven by the acquisition of the Lockheed Martin Aegis combat system, not ship manufacture concerns. An alternative Australian investment path is suggested by the development by CEA Technologies of leading edge radar technologies  that also have export and civil sector opportunities. Is this a better defence industry sector to support from a war fighting perspective, and is it more viable long-term? There’s a further alternative. Rather than picking winners and investing in a particular sector, government support could be more broadly based. SMEs are often touted as the innovators of the industry, working in leading-edge technologies and often in both the defence and civil field. As the Defence market progressively evolves and new technologies and demands arise, the inherently nimble SMEs may be a surer bet. Some—like CEA—might succeed brilliantly. It might amount to deciding whether a broadly based SME support strategy or a narrow all-the-eggs-in-one industry sector basket is the better approach. The final alternative would be to leave the future of naval shipbuilding to the market. The result might be no naval shipbuilding industry at all, but there’s a school of thought  that says that the consequences of that wouldn’t be as dire as the industry’s supporters suggest. Arguably the Air Force is as technology intensive as the Navy and it seems to maintain advanced capabilities without an indigenous industry comparable to naval shipbuilding. Economists will doubtless be concerned over the impact on effective competition of the new naval shipbuilding approach. Before this though there are strategic issues at the national and Defence level. Is this the best approach or would some more thought yield a bigger return on our investment? Peter Layton is undertaking a research PhD in grand strategy at UNSW, and has been an associate professor of national security strategy at the US National Defense University. Image courtesy of Flickr user Kookaburra2011 .